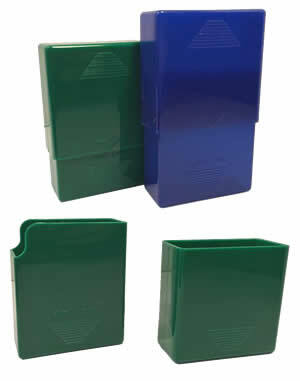 This is a two piece set of plastic cigarette cases. One will fit King size cigarettes. The other will hold 100’s size cigarettes. Colors may vary on each order.